From a base in 15th-century Florence, the Medici family used charm, patronage, duplicity, and ruthlessness to amass wealth and power. The Medicis also ignited Western history's most important cultural and artistic revolution, the Renaissance, but doomed their own ordered world. 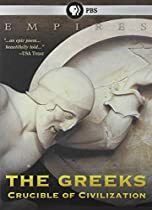 This epic drama in the courts, cathedrals, and palaces of Europe traces a family's powerful ambition and a continent's tortured struggle to emerge from the Dark Ages. How do we know so much about the Renaissance and so little about the Medici family? 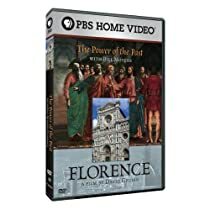 Like myself, many of you probably never heard of the Medici family Florence Italy, and how they were connected to the Renaissance. The 4 hour episode provides a lot of information though it does lack in explanations. While the documentary highlights the main theses of the Medici family, it fails to demonstrate some of the reasons behind the motives and moves made by the family. Overall, the show was very well done and for someone like me, I used the information I learned to further research the history of the Medici family. 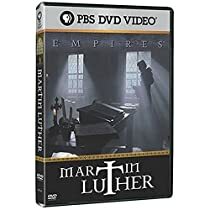 The one thing I really learned about the show was that there were (4) Catholic Popes that came from the Medici family and that Pope Leo X (Giovanni di Lorenzo de' Medici) was the pope involved with the sales of indulgences that led to Martin Luther's 95 Theses. Also, I didn't know that the "Bonfire of the Vanities" was a real event and was directly related to the Medici family. The story of the Medici family shows both the good and bad in a family clawing its way to the top and the things they were willing to do to maintain their status in society. There is no doubt that the Medici family played a major role in the Renaissance and the works they commissioned were some of the greatest works ever to come out of the period. But, did we lose more than we gained during the Renaissance by the actions of the Medici family and those that were determined to bring them down? The number of names associated with the Medici family during the Renaissance is mind blowing. It's funny, I know many of the famous architects, painters, sculpturers and scientist from the Renaissance era but I never heard of the Medici family until know. If you are a history buff, an arts fanatic that has a taste for all things Renaissance, or are just a curious person, you will enjoy this documentary. While it may lack in some areas, it provides more than enough insight and story telling to bring you into the world of the Medici family. Well done. Great acting and very realistic of how life actually may have been. The quality of the picture is also very good. I really enjoyed seeing the buildings in Florence and much of the history behind many of the greatest structures. Especially how they engineered and constructed them. The document was very accurate of the history and lives of the Medici. Great history lesson. Very informative, entertaining in its delivery. Usually these historical shows have dull, "scholarly" narrators that put you to sleep as they drone on. This narrator had an Italian accent, and a lively delivery style that stayed fresh all through. The visuals were lush and colorful, fitting the times they described. I know a lot more now about the Medici's critical role in shaping the Renaissance and am inspired to read even more. I won't give 5 stars because I don't like the lack of dialogue among the characters. As in most of these kinds of shows they just stand there looking serious. Let them talk once in a while, I say.